Are you ready for a new challenge..
With the theme being Emboss... I figured I would do both Dry and Wet.. 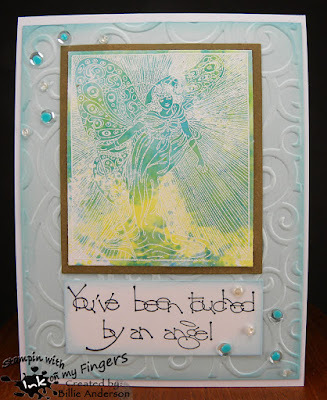 I stamped the angel image and used white embossing powder. I then smooshed Ranger ink on my craft matt and spritzed with water and laid the embossed angel piece in the ink. I dried it and repeated till I got the effect I wanted. I then took my embossing folder and ran the cardstock through my Vagabond. I went around the edges with some Ranger ink and added the inked angel who is by Stamp Francisco. The sentiment is ???? I don't know. Both are wooden stamps and the name was not on it. I added some sequins and Nuvo drops. This card is so soft and pretty! I love the colors and that sweet sentiment! So beautiful! The angel stamp is gorgeous, fabulous colours and embossing! Wow! What a beautiful card! I adore all the techniques that went in to this! 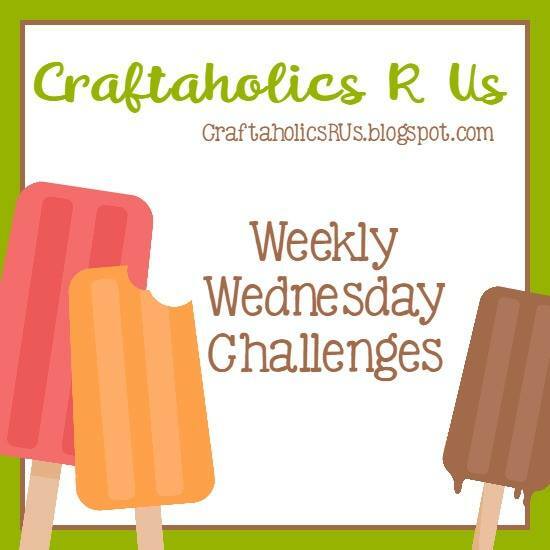 Thanks so much for joining us this week at Crafty Gals Corner!